Monosodium glutamate has developed quite a bad reputation. Popular media has blamed it for all sorts of maladies, from asthma to migraines to autism. Monosodium glutamate — more commonly known as MSG — is a flavor enhancer added to food to increase umami, or savory, flavor. While it is included in the intimidating gibberish at the bottom of nutrition labels, scientific evidence suggests it isn’t something to be afraid of. Back in the early 1900s, Japanese scientist Kikunae Ikeda was trying to figure out what gave seaweed broth its strong flavor. He isolated chunky brown crystals he identified as glutamic acid, which is an amino acid — a building block for proteins. The compound he made from it, MSG, quickly became a popular ingredient in Japanese, Chinese and Korean cuisine because it intensified the flavor of food. It made good dishes delicious. MSG then spread globally as Asian food did and was adopted by other cuisines along the way. Fast forward to 1968, when some people in the United States began complaining of symptoms including migraines, dizziness and chest pain after eating Chinese food that contained MSG. They nicknamed their experience Chinese Food Syndrome. 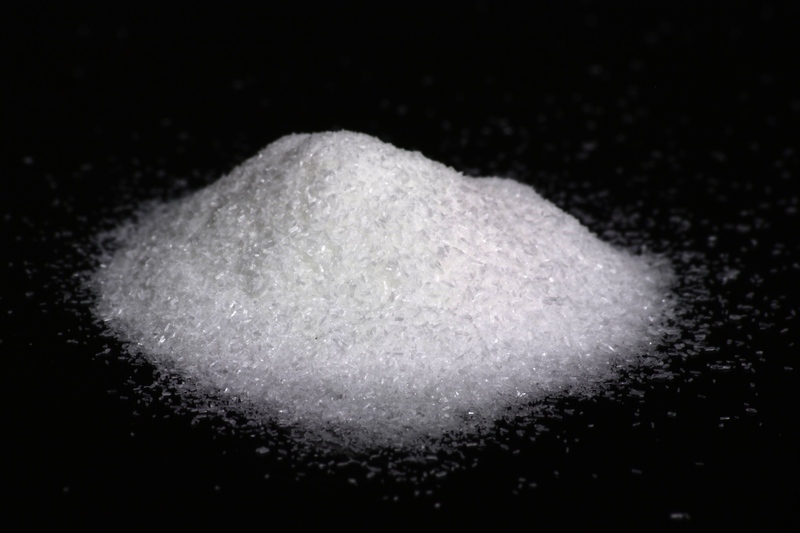 The belief that MSG causes health problems persists to this day. MSG is actually a kind of salt. Salts are made when an acid, like glutamic acid, and a base are added together. They react to each other with a fountain of bubbles as they rip atoms off of each other to form water and leave behind byproducts — everything that doesn’t become water. If you’ve ever added vinegar to baking soda, you’ve triggered a similar reaction. The leftovers of the reaction have opposite charges and stick together tightly in crystals, becoming a salt. MSG has the same principles as the more familiar table and street salts, just with different chemicals. Salts break apart when they hit our tongues and excite our tastebuds. Salt has what’s called an ionic bond, which means under normal conditions the positive and negative byproducts attract each other and stick together. When you introduce water, everything changes. Each molecule of water has one end with a slight positive charge and another with a slight negative charge. If you add salt back to water, the charged acid and base molecules don’t need to cling together anymore. They instead separate and float around individually. So when MSG combines with the water in your food or your saliva, its two components — sodium and the glutamic acid — separate. We need both sodium and glutamic acid to function. Glutamic acid is an important neurotransmitter. It also helps clean up waste and make energy. We all make some every day, but it is also supplemented in our diet in all kinds of foods, from meat to cheese to tomatoes. And we need sodium, because muscles and nerves both use sodium to work. After long bouts of exercise, for example, it’s important to drink electrolytes to help replenish our sources of sodium. Too much of anything, of course, can be toxic to the body. Too much sodium can lead to high blood pressure. Too much glutamate could theoretically harm brain function or negatively impact metabolism. But many people believe even small amounts of MSG are dangerous, even though regulatory agencies in several countries including the United States have deemed MSG safe to consume. An independent report in 1995 found that there were no health problems linked to MSG at the normal consumption level — less than 0.5 grams a day. In fact, scientists reported that it wasn’t until sensitive individuals consumed more than three grams of pure MSG, not as part of a meal, that mild symptoms appeared. That’s basically swallowing a teaspoon of the stuff. If you’ve seen any videos of the cinnamon challenge, you’ll know there are other pantry items you wouldn’t want to eat a teaspoon of. They’re still deemed perfectly safe. Even in a study where MSG was added to other foods secretly, participants who claimed to be sensitive to MSG reported no symptoms. They may have been reacting to other things in their food, or just scaring themselves into feeling sick. So if your doctor has you watching your sodium or glutamic acid levels for other health reasons, you may want to hold off on the MSG. Otherwise, you can just enjoy that extra umami oomph!